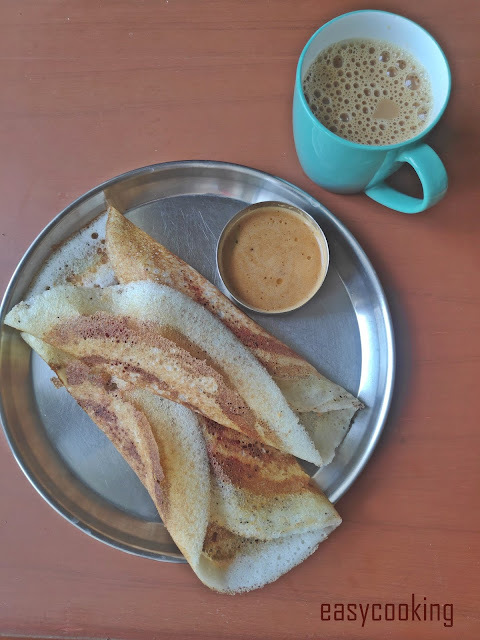 I haven't visited an Indian Coffee House till date,but have heard so much about it from Ajay who used to frequent it a lot when he was in college and during his travels.Among other things,one thing which I always wanted to try was their Vegetable Cutlet or Chops as it is commonly named.Also the red masala dosa,which is actually Beetroot Masala as opposed to the regular potato masala. 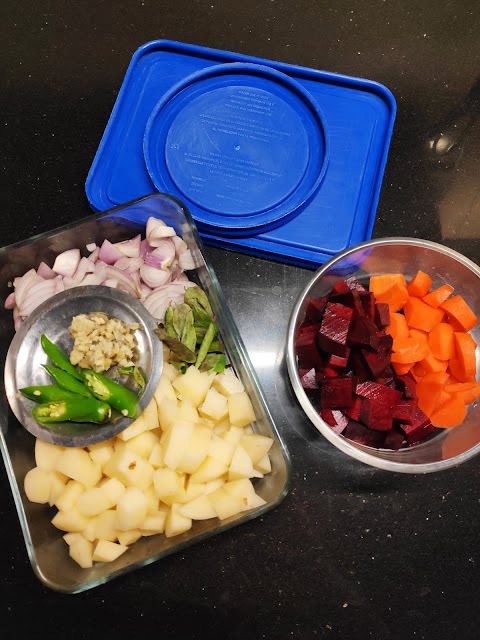 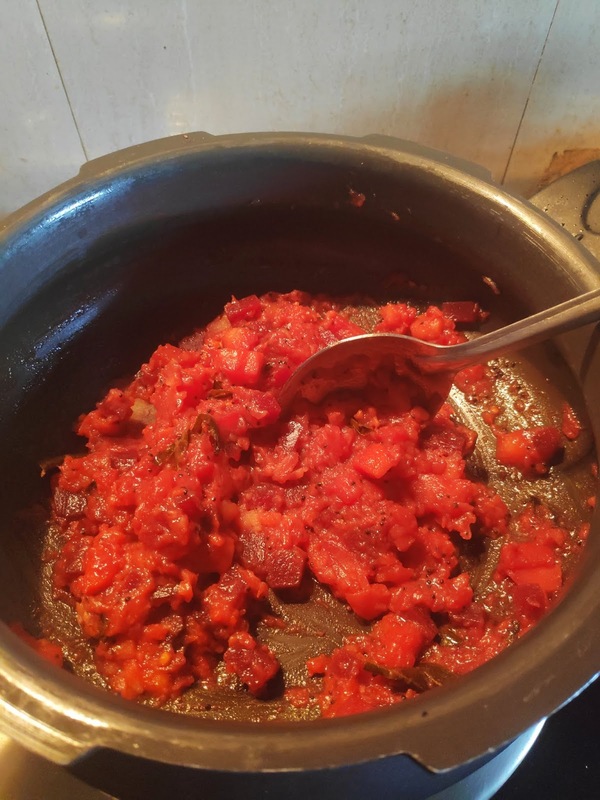 How do you recreate something which you haven't seen or tasted?I kept asking Ajay about it's appearance and taste and came to a conclusion that I have to tweak my regular potato masala to make the Beetroot version.I have to say the resulting recipe is amazing.One more way I can sneak Beetroot into Arjun's meal,that's a win-win situation right? 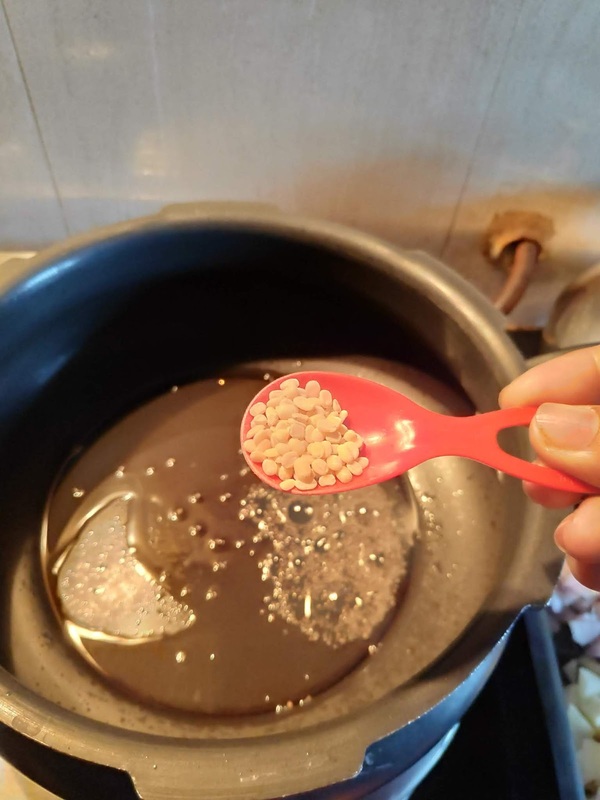 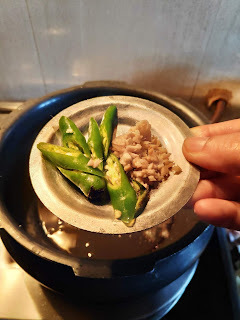 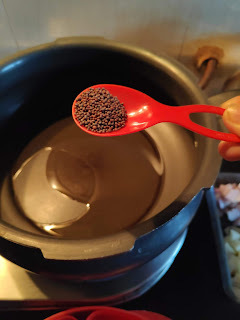 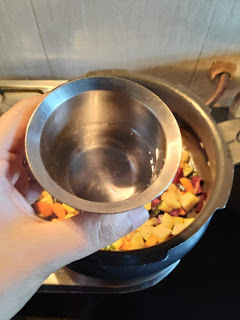 In a pressure pan,add oil and splutter mustard seeds and urad dal. 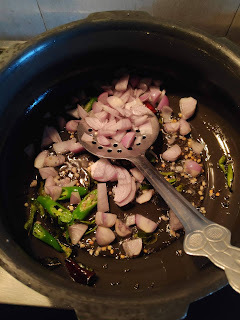 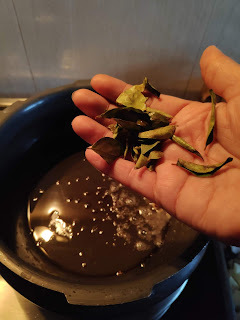 Add curry leaves,red chilly,green chilly and ginger. Mix in onions and saute for a minute. Add the haldi powder and stir for a few seconds. 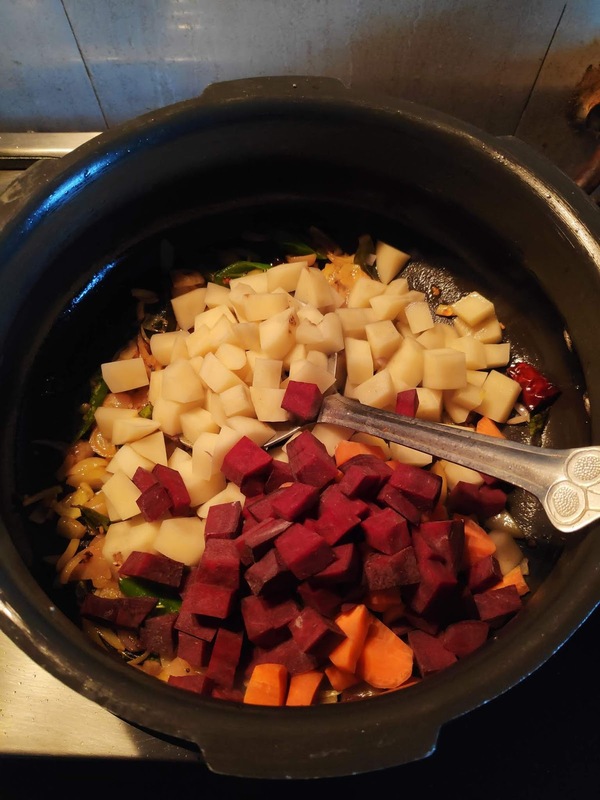 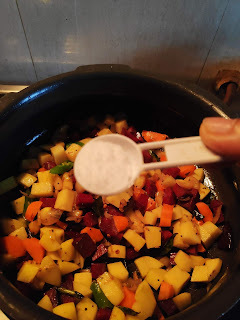 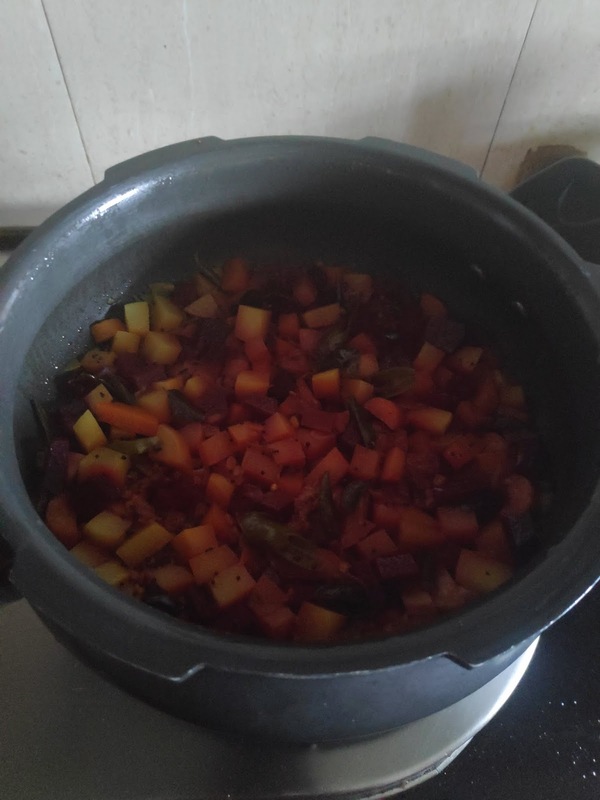 Mix in the potato and beetroot,add salt to taste and about half a cup of water. 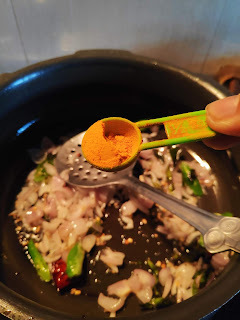 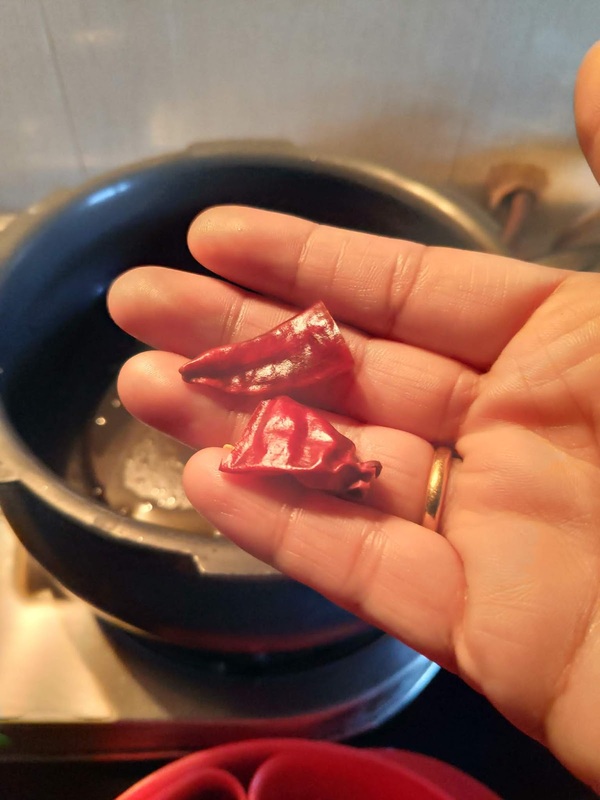 Cook the masala for one whistle on high and then for about 10 minutes on low flame. 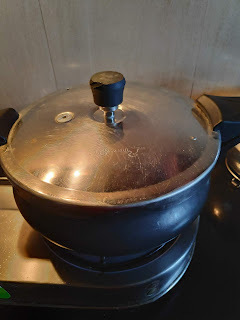 Once the pressure settles down,open the cooker and mash the veggies a little. and about half a cup of water. 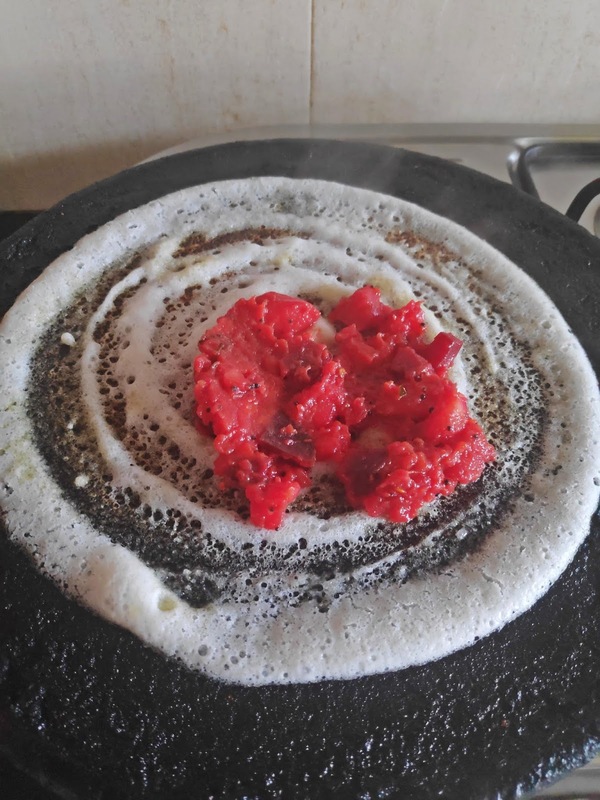 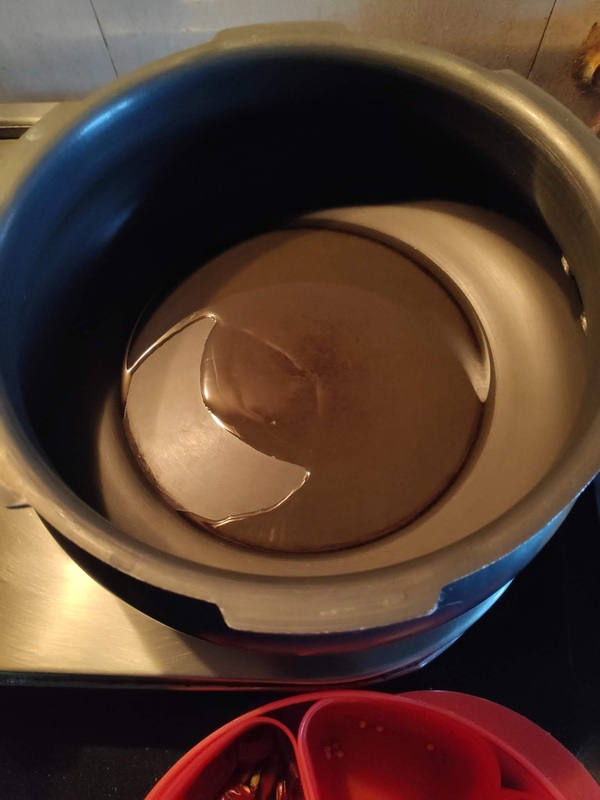 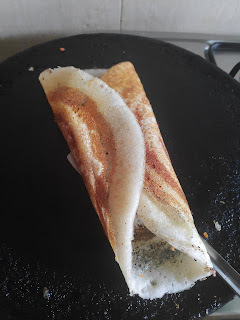 Heat a dosa tawa and pour a ladleful of dosa batter and spread in a concentric circle.Pour few drops of oil and let it cook for a minute or so or until it starts browning. 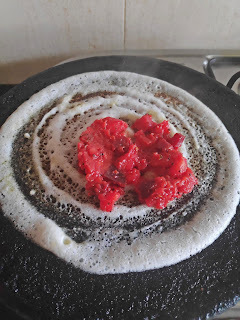 Spread the beetroot masala on the dosa with a spoon and spread a little. 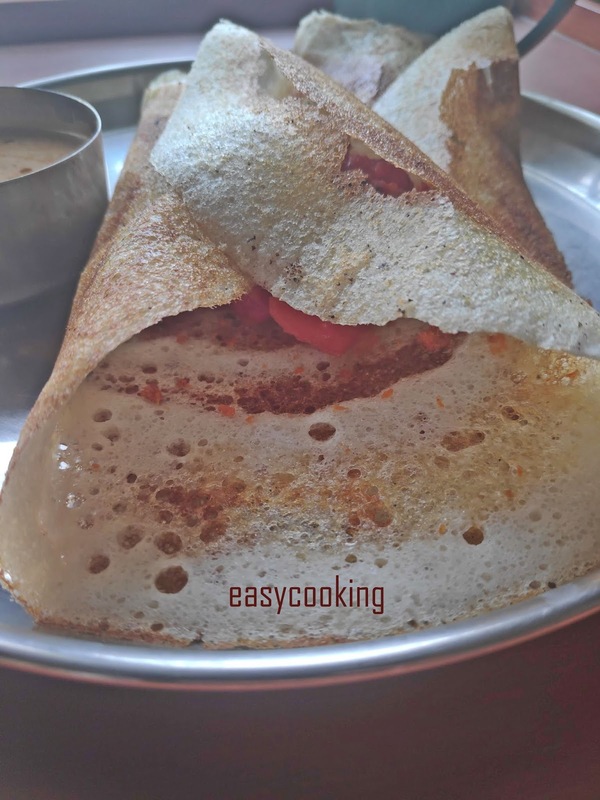 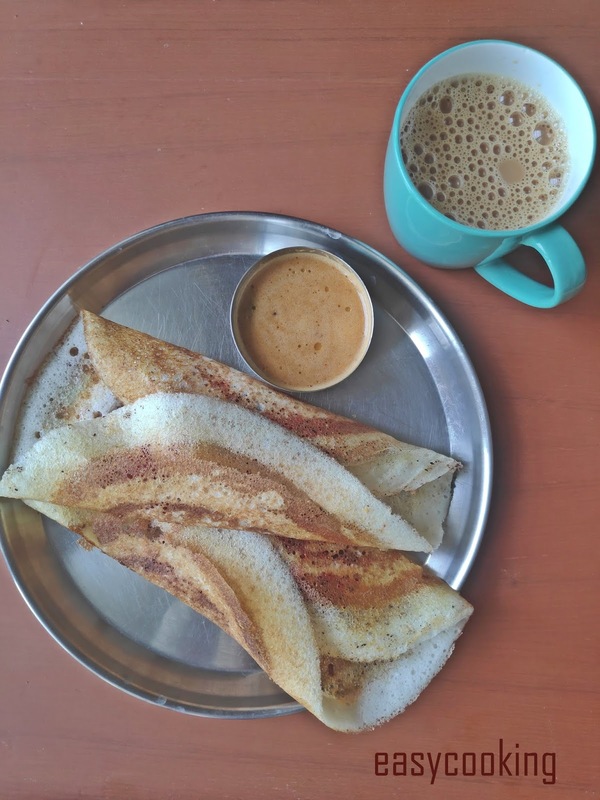 Fold the dosa and serve with chutney of your choice.